We don’t know about you, but we can’t get enough Halloween treats this time of year. However, we also know with all the costume changes, decorations to hang, and tricks to plan, creating something from scratch can be scary. It’s tempting to snag a bag of Halloween candy while at the local store to share. 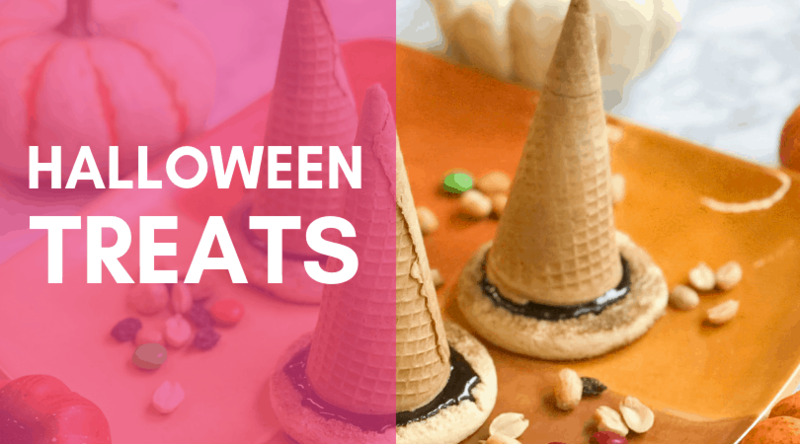 Don’t despair, try these hauntingly delicious treats we created from ingredients purchased in a single stop at the local Braum’s Fresh Market (and one item we had in the pantry). They’re quick and easy to make, so you won’t be left behind when The Monster Mash comes on the radio. Don’t worry; your guests won’t catch a fright when they take a bite. Place cookies flat on a serving plate. Warm Hot Fudge or Caramel Topping until it has a workable, but not too hot or runny consistency. Spread a thick layer of sauce on top of the cookie and place the sugar cone on top. 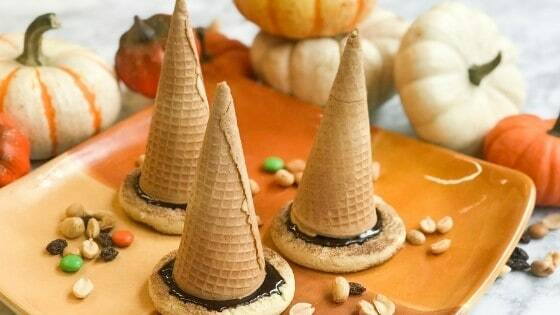 Let chocolate sauce create a seal between the cookie and cone. Let cool until the cone holds to the cookie. Serve your witches hats along with a few scoops of ice cream or enjoy them on their own! 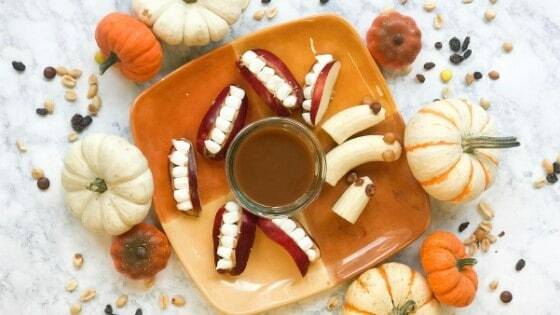 Fang-tastic fruit trays are ideal for Halloween too! Add a bowl filled with Braum’s Hot Caramel Topping for dipping those monster bites! Take an apple and use an apple slicer to core and slice the apples into eight slices. Divide each slice again until you have 16 slices per apple. Smear one side of each pair of apple slices with peanut butter. Place six marshmallows in the peanut butter on one of the apple slices and then press the second apple slice on top of the marshmallows. Take one half banana and add either nuts or candy for eyes. 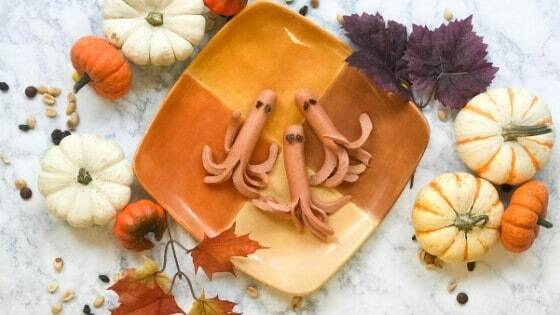 Your guests won’t mind getting tangled up in these tentacle-y treats. Place a medium sized pan of water on the stove over medium heat and heat until boiling. Cut a 1-ince slit at one end of each hot dog. Cut through each half again. Cut again through each of the divisions until you have eight “legs” all about an inch long. Place each hot dog in boiling water and cook until done. *Optional – Place two olive pieces on the uncut side of the hot dog or add dots of mustard or ketchup for eyes. Serve with or without buns. You don’t have to run all over town to get supplies for fun Halloween food. You can find all your festive goods at the Braum’s Fresh Market this Halloween season!